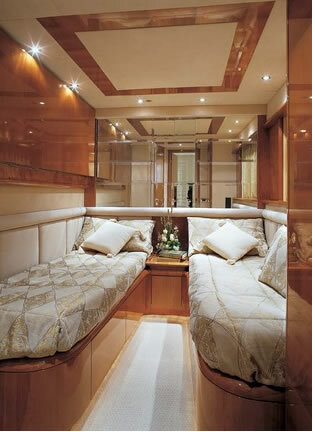 The motor yacht IRIS is an AZIMUT 75 feet luxury yacht built in 2004 and is offered crewed for charters in Greece and Greek islands. 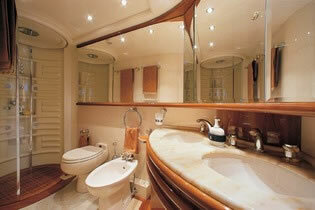 She accommodates 10 guests in 4 spacious staterooms. 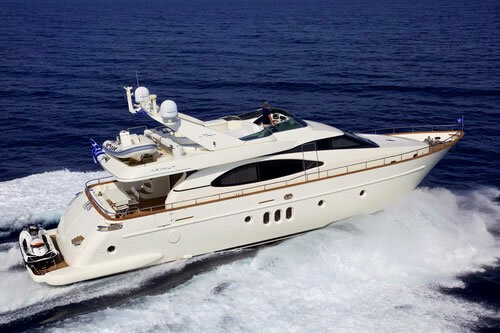 This magnificent yacht is ideal for Azimut lovers that expect no less than luxury, exceptional cruising and fine amenities on board. 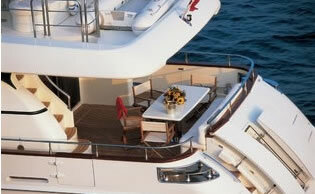 This Azimut is a fast planning yacht that you will feel exhilarated by its velocity as it cruises at the speed of 21 knots and will experience the freedom and comfort that only a luxury yacht can offer. 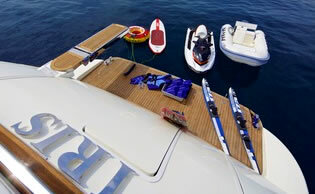 The outer deck spaces include an aft deck table where meals can be served and a sundeck ideal for sunbathing, lounging and dining. 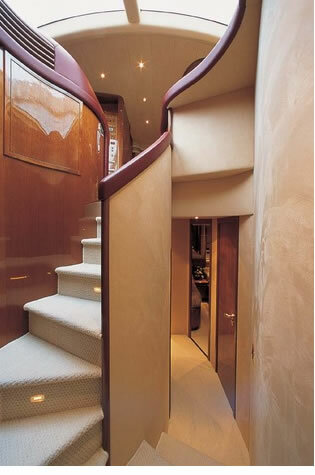 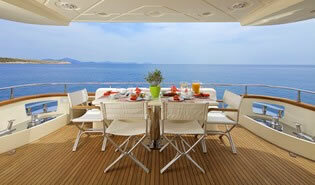 The interior areas of the yacht emanate luxury, opulence and comfort. 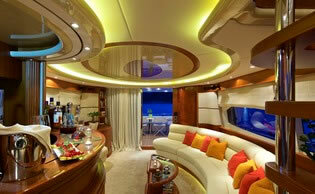 Come in from the warm sun and lounge in the cool air-conditioned saloon area. 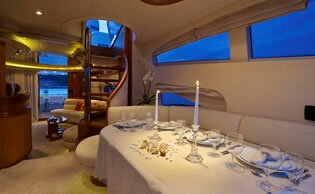 The indoor dining area is perfect for more formal dinners. 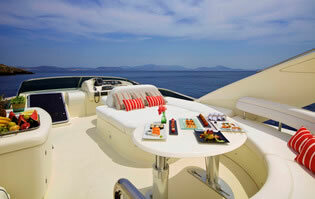 A fine crew of 4 members will offer silver services on board to enjoy your sailing holidays in Greece.